The cloud has become essential to digital transformation by delivering on the promise of limitless scalability and instant availability, at a considerable cost savings. John Willis (Electric Cloud advisor and co-author of The DevOps Handbook) and Anders Wallgren (CTO, Electric Cloud) will discuss strategies to streamline your application delivery processes to enable and even encourage, upstream experimentation with cloud and cloud-native technologies. John Willis has worked in the IT management industry for more than 35 years. John was Director of Ecosystem Development for Docker, he joined Docker when the company he co-founded (SocketPlane, which focused on SDN for containers) was acquired in March 2015. 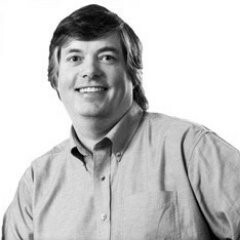 Previous to founding SocketPlane in Fall 2014, John was the Chief DevOps Evangelist at Dell, which he joined following the Enstratius acquisition in May 2013. He has also held past executive roles at Opscode/Chef and Canonical/Ubuntu. John is the author of 7 IBM Redbooks and is co-author of the “Devops Handbook” along with authors Gene Kim, Patrick Dubois and Jez Humble.